Congratulations to the recipients of the 2017 Dean's Teaching Excellence Awards. 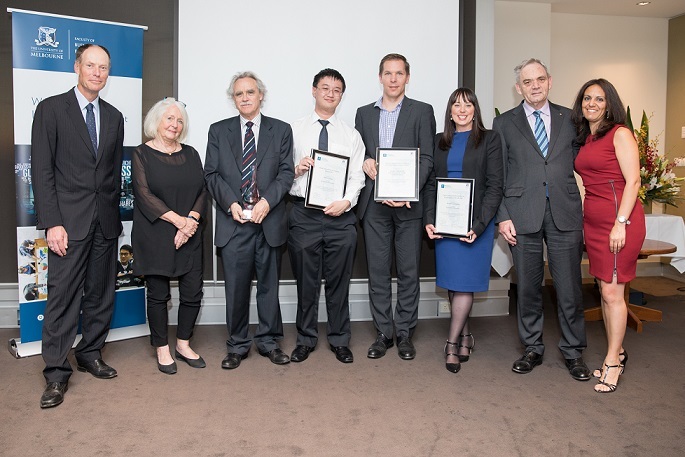 Each year, The Williams Centre for Learning Advancement recognises and rewards the valuable contribution of teachers in Business and Economics through the Faculty Teaching Excellence Awards. The award recognises inspiring teachers who have motivated students to excel and have promoted excellent learning opportunities for our students in the faculty over a prolonged period of time. This award recognises and rewards the outstanding contribution of teachers to promote excellent learning opportunities for our students in the faculty. This award recognises and rewards the valuable contribution of tutors to promoting excellent learning opportunities for our students in the Faculty. This award recognises and rewards individual teaching excellence for an academic staff member holding a Level A or B appointment. This award recognises and rewards teaching excellence related to work that has taken place among a teaching team within a subject or at a course level. The Williams Centre for Learning Advancement warmly congratulates the award recipients.